Shout out to my hometown paper, what a wonderful article! Actor and talk show host Loni Love has enjoyed a healthy stand-up career for more than a decade, but this year the Detroit native really hit her stride in Hollywood. “The Real,” her daytime talk show on Fox, returned for season two earlier this month with a 1.1 rating, a nearly 40 percent improvement over last season’s debut. It was ranked No. 1 in it’s time period in New York, beating out all other programming (most notably, “The View”). Ratings were also high in Love’s hometown. “When we got the ratings back, Detroit was the highest and everybody (on the show) was like ‘oh yeah, Loni!’ I was like ‘oh yeah, my people come through!’ I want to thank Detroit for coming through. Some of the highest ratings in the country were from Detroit,” she said in a telephone interview last week with The Detroit News. 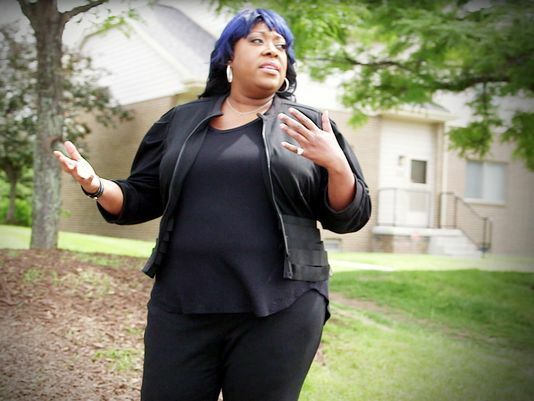 On Saturday, Love will be the subject of the Centric network show “Being Loni Love.” In the episode she revisits her childhood in Detroit, including the Brewster-Douglass Housing Projects, where she grew up.